Enter the privately gated 1.5 story custom residence and be impressed from top to bottom. Brick and stone construction outside, sophistication and comfort inside. Desirable features include a well-designed office, luxury master suite and spa bath. Donât miss the enviable kitchen with hearth and breakfast areas, enhanced by beamed ceilings and stone fireplace. Note the temperature controlled wine feature. Resort style salt-water pool is designed with lighting, water slide and outdoor fireplace! Expand your living space in the quality finished lower level that includes a game room, media center, wet bar, family room with fireplace, and deluxe exercise/weight center. 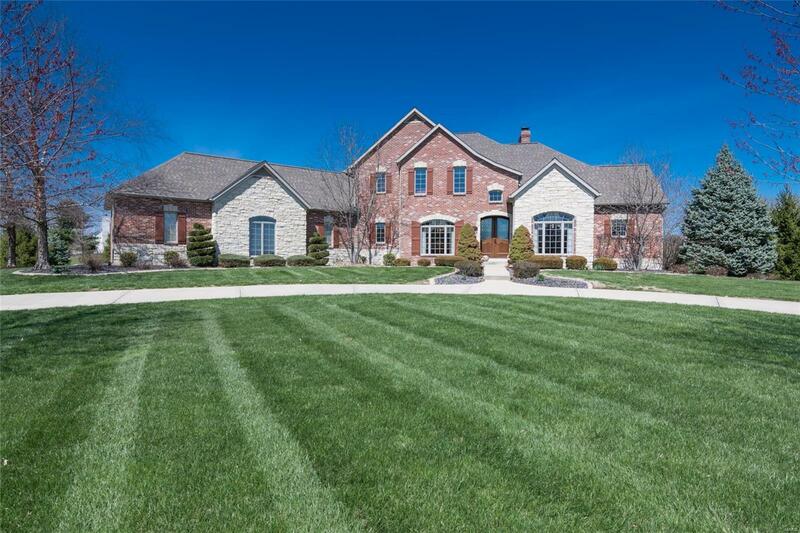 Custom finished four car garage, irrigation system, circle drive, basketball court, plus mature trees add to the appeal of this fine home. Before making an offer on any property, buyer should independently verify all MLS data, which is derived from various sources and not warranted as accurate.